AP EdCET 2019 Notification: Andhra pradesh Education Common Entrance Test (AP Ed. CET 2019) Notification has been Released by Officials of SVU, Tirupathi. AP EdCET is A Common Entrance Test, designated as Education Common Entrance Test-2019 (AP Ed.CET-2019) will be conducted by the CONVENER, AP Ed.CET- 2019, Institute of Advanced Study in Education, Sri Venkateswara University, Tirupathi on behalf of the Andhra Pradesh State Council of Higher Education for admission into B.Ed. Regular Course in the Colleges of Education in Andhra Pradesh for the academic year 2019-2020. 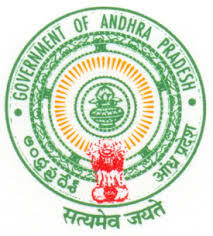 Andhra pradesh Education Common Entrance Test 2019 AP Ed CET 2019 (B.Ed) for admission into 2 years B.Ed courses offered by the Universities and affiliated colleges in Andhra pradesh state for the academic year 2019-20. Sri Venkateswara University is the conducting authority for AP EdCET 2019 for the academic session 2019-20.Eligible candidates, who wish to apply for AP Ed CET-2019, may submit their applications through ONLINE MODE only. The detailed information regarding eligibility, age, submission of online application & related instructions etc are available in www.apedcet.org. Andhra pradesh Education Common Entrance Test (B.Ed) – AP EdCET is an Entrance test for candidates to get admission in 2 years B.Ed courses. In many states of India, it is a pre-requisite for candidates to qualify the Entrance test in order to join for the admissions in Andhra Pradesh Universities/Colleges. Candidates satisfying the following requirements shall be eligible to appear for AP Ed.CET-2019. The Candidates should satisfy Local/Non-Local status requirements as laid down in the Andhra Pradesh Educational Institutions (Regulation of Admission) Order 1974 as subsequently amended. Relevant certificate, Study, or Residence for proving the local status. Methodology: Candidate has to choose one of the following subjects. It consists of 100 questions for 100marks. In the test, questions included from India as well as the neighboring countries consisted of History, General Policy, Scientific Research, Ecology, Economics, Culture, Geography. Teaching includes characteristics such as ability to communicate, skills to deal with children and recognizing the individual differences. The question paper will be in English and Telugu except for English methodology. However, candidates opting to write the Entrance Test in Urdu medium will be served with Urdu paper and such candidates shall opt Kurnool as Test Centre. The qualifying marks in the Entrance Test for all candidates (except SC/ST) are 37 out of total marks (i.e. 25%). For the candidates belonging to SC/ST communities, there will be no qualifying marks for ranking. There will be no minimum qualifying marks for women in Physical Sciences / Mathematics methodologies.